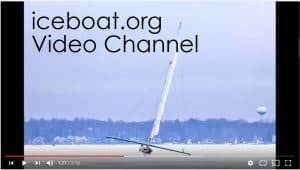 Four Lakes Ice Yacht Club racing has been called ON for Lake Mendota January 13-14 out of Mendota County Park launch site. You will need a Dane County Lake Access permit which you can buy at the launch site or online. First race is at 10 AM assuming temperatures are above 10F. The DN Western Region regatta is also being sailed on Lake Mendota. There is plenty of ice for 2 courses.